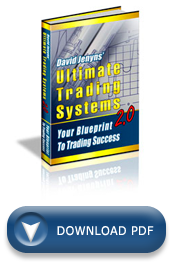 FreeTradingSystems.org Design your own profitable trading system. Contrary to popular belief, you do not need to know where the market will top and bottom to make money in the markets. In fact, that is where most people go wrong. The best traders in the world realise that neither they nor anyone else knows what is going to happen. Sure, everyone can point out tops and bottoms after the fact, but no matter what anyone tells you or tries to sell you, no one can pick tops and bottoms consistently before the fact. So how do you make money without picking tops and bottoms? Successful trading is not dissimilar to any other successful business. Every successful business has a business plan and so do successful traders.You may have already realised this from the previous chapter, when I mentioned that successful traders have a systematic way they approach the market. Have you ever really thought about why companies like McDonald?s are so successful? It?s certainly not the taste of their burgers. It?s because they follow a well-tested methodology the world over. The staff in Sydney is following the same regimen as the staff in Singapore. The burgers in Auckland are made the same way as they are in Athens. We can all learn a lot from this approach. To be successful, you need to treat your trading like you would any other small business. If you were about to invest $50,000?$100,000 to start up a caf? or a lawn-mowing service, wouldn?t you research the market carefully first? Wouldn?t you write up a business plan? Of course you would. Trading should be treated the same way ? given the same respect if you like. A trader?s business plan is known as a trading plan ? it defines her approach to trading. A properly constructed trading system will leave no room for human judgement because it will define your plan, given any circumstances that may arise. It is a distinct set of rules that will instruct the trader what should be done and when to do it. The importance of a trading plan cannot be overstated. Without a consistent set of guiding principles to govern your trading decisions, you will most likely hop from one trade to the next, impelled by emotions. By not having a plan, you are planning to fail. All successful traders that I have come in contact with have written down their exact trading methodology, at one point or another. Have you ever heard the story about one of the most famous system traders of all time, Richard Dennis? In mid-1983 Dennis was having an ongoing dispute with his long-time friend Bill Eckhardt about whether great traders are born or made. Dennis believed that trading could be broken down into a set of rules that could be passed on to others. On the other hand, Eckhardt believed trading had more to do with innate instincts and that this skill comes naturally. In order to settle the matter, Dennis suggested they recruit and train some traders and give them actual accounts to trade with to see who was right. To cut a long story short, Dennis taught his trading methodology to a group of students he named ?The Turtle Traders.? This group of traders later became some of the most successful traders of all time, proving that a thought-out and well-documented trading plan is the key to success. A trading plan is simply a set of rules that addresses every aspect of a trade such as entry and exit conditions and money management. Regardless of how complex it may be, a good test for your trading plan is to hand it to someone else to read thoroughly and then see if they have any questions about it. If they can easily understand all the rules and requirements of your strategy with little to no questions, then you have compiled a sound trading plan. Why is it so important to write your trading plan down? Something magical happens when you commit it to paper and, believe it or not, this will be one of the most important things you can do in your endeavour to becoming a successful trader. When you take time to sit down and spell out how you perceive the markets, you are beginning to take responsibility. If the market does not behave according to what you wrote, the only conclusion you can arrive at is that your perception is wrong. Accepting that possibility is a huge step towards maturing as a trader. When you write down how you are going to enter a trade, based on certain events, you are eliminating any possibility of placing the responsibility on anything else but yourself. Now when something goes wrong, as it inevitably will when you?re learning a new skill, you?re the one to fix it! Again ? to draw on the business plan analogy ? just as there is a standard format for designing any business plan, there is also a format for designing a trading plan. There are three major components within any trading plan: entry, exits and money management rules. Here?s a quick summary. Tested entry rules. Entry rules should be a precise set of rules that a tradable instrument must pass before you enter a trade. Entry rules should be simple, direct, and leave no room for human judgement. Tested exit rules. Entering a trade is all to no avail if you do not know when to exit your position. Having a set of rules that define your exit is equally as important as a set that defines your entry. Strict money management rules. Perhaps the most important and least addressed aspect of trading is the ability to manage risk. A profitable trader is one who has the ability to manage the risks associated with trading. This is achieved with strict money management rules. While simple in their explanation, these three components together will ensure your trading success. In the chapters that follow, we will go into these in more detail and you will work through a process to design each component. Make a commitment to yourself to document your trading plan. … that’s strange it appears to be working at my end. It worked just fine, must be his computer. Also, everything else looks good so far too, just waiting for the catch though im hoping there isnt one. i am hoping to trade Forex and I can follow your advice re charts etc for this market……however, if i wish to trade stocks as well…….when you refer to “charts”…is it just for one individual stock? It doesn’t matter what market you trade… the fundamentals of system design are the same. In short, everything I teach on this website will apply to the forex market. re my previous question: when trading shares, are they traded by looking at charts for each individual share? Sorry I missed that one… Yes, after you have identified those stocks exhibiting the criteria you’d like to trade (through some sort of exploration), the final stage is to look at the individual charts themselves. I’m a graduate student and I’ve been thinking of developing a trade system with a couple friends. Seems to me that you see a trade system as something really personal. Should we approach the problem in a different way because we are a team? or working this way would not be recommended at all? I’ve been really enjoying your course! Thanks for the coaching! Working in a team can be fine – just ensure you work through the same process as a group and ensure you all agree on the parameters of the system. There are actually some advantages of doing it as a group – namely, accountability. You’re on the right track, stick with it, the rewards are worth it. I think one of the other component that a trading plan should include is unexpected situations, like closing out positions in friday for weekend risk. That’s a great idea. It would come under your exit conditions. Perhaps you could have an additional rule to exit your position should an unexpected situation like September 11 occur. I personally don’t have anything like that (I let my stops do it for me) but I do have some clients who do. Hello David thanks for the information in your web site. I want to know, from your coaching experience if Day trading is far less successful than Swing trading as is being said all over the Internet. If yes, has this got something to do with the attitude of the traders involved or the set up of the systems itself that causes this difference? This is another winner among losing traders, they never want to write a trading plan they get in on a whim not following any rules at all, and get out on a whim as well. Do you really think they stand a chance against a trader like myself who has a trading plan, a specific entry i look and a way to take profit and protect my capital? i know people who wash out of trading left and right and none of them took the time to make a plan, they just complain and are lazy. That’s the bottom line.